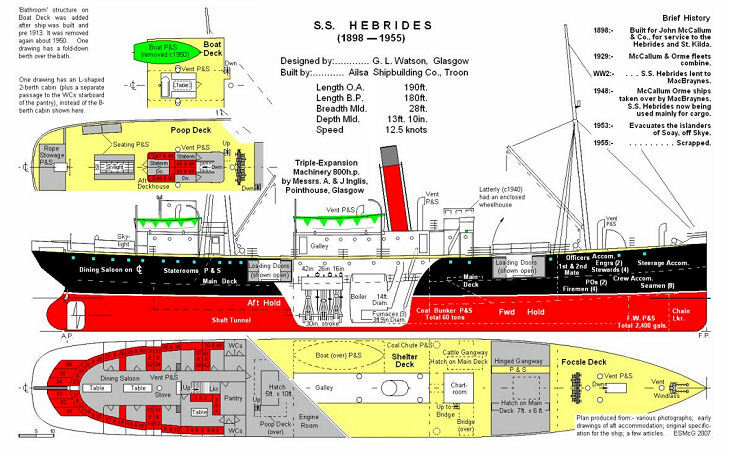 Plan of the S.S. Hebrides - i.e. the vessel that the Rev Lawson sailed on to St Kilda. I drew them up from various sources - photographs (quite a number), old ‘plans’ of the dining / sleeping accommodation area. 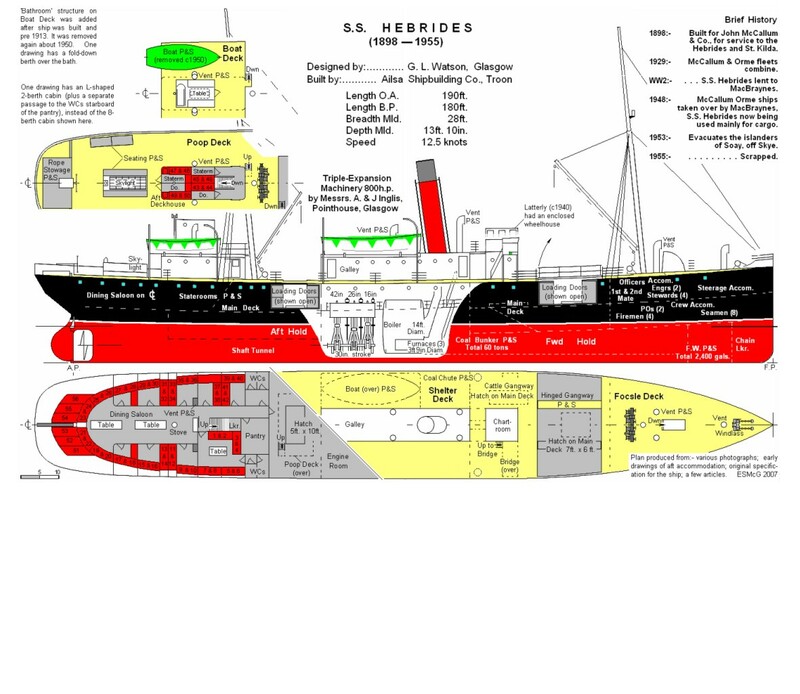 An old cine film, the original ship’s specification, etc.